Hobby Stone requires a bit of work to turn it into your molded pieces. One of the issues that may come up is how to measure out the amount of water and stone that you need. There are a few options that exist for this. Directions are usually listed in ounces due to the small amounts that are needed for single molds. Two standard options are possibly found in your own kitchen. 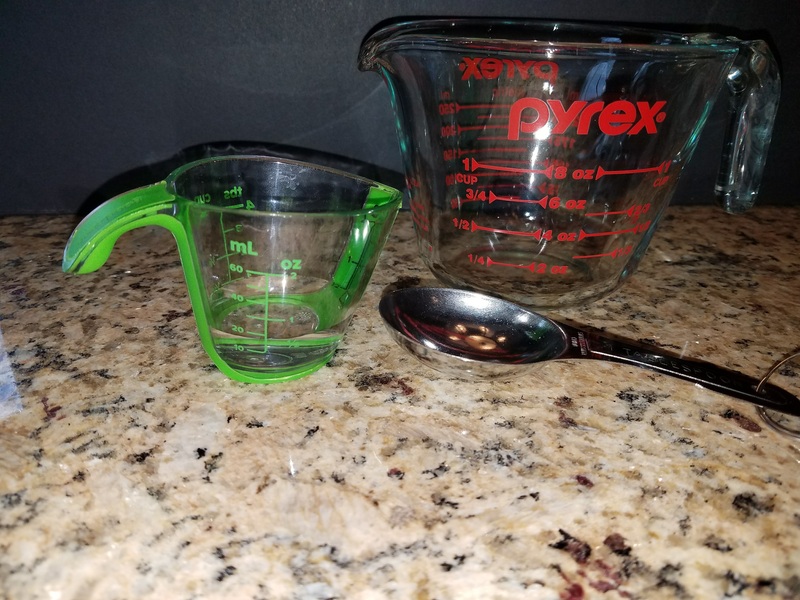 You can use a standard tablespoon if you don’t mind measuring out multiple spoonfuls, or measuring cups if you have one or two in the correct sizes. I’ve included a chart for common conversions, as well as an alternative with a little work. This was introduced to me and if you don’t like measuring and want a reusable option where you may be forgetful and leave stone in your measuring device it is highly useful. Requirements: Two Clear Plastic Cup (or more), A Sharpie or Grease Pencil, your choice of measuring device. Start out putting two of the cups together. 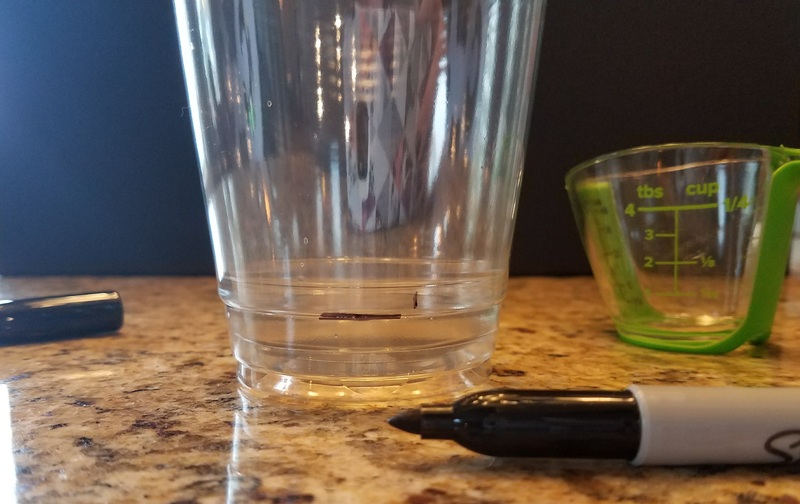 You then measure a single ounce into the cup, on the outside cup mark the water line with the sharpie and amount in the cup. Keep up this process until you have as many ounces as you think you will need for your projects. I stopped at about 4, but I also went back in and added half ounces at points I knew I use them (1.5 and 3.5). 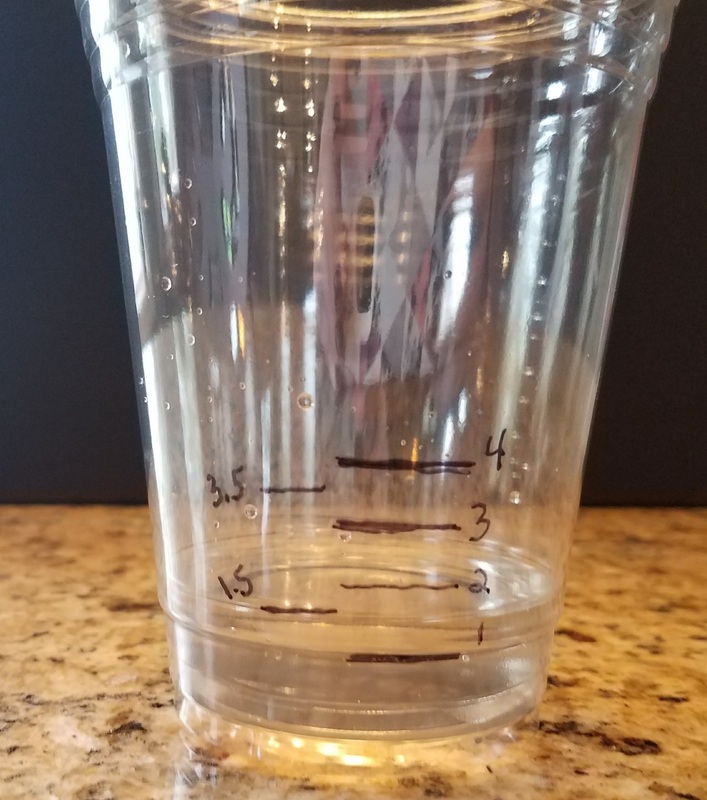 From experimenting, I suggest if you don’t want to keep remeasuring out the cup, pull the interior cup out before mixing or you end up wearing off the sharpie. Now if you leave excess in your cup, you haven’t ruined anything other than a disposable plastic cup.